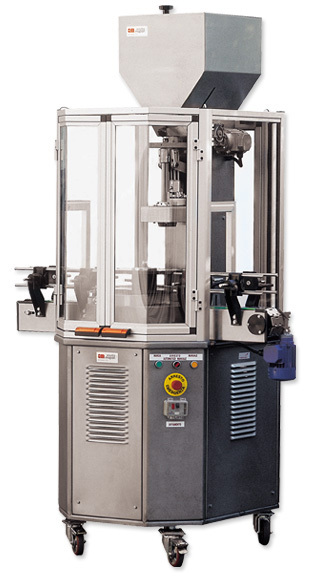 First type: the machine can be used with plugs having Ø of 25 mm up to 32 mm, and 50 mm maximum height. Second type: the machine can be used with plugs having Ø of 22 mm up to 26 mm, and 50 mm height. Special needs must be specified in the order. The machine is completely built in inoxidizable steel. It can plug bottles from 0,75 l to 1 l regulating the corker in height. To regulate bottles diameters, require the suitable "stars". The corker is supplied according to the current safety rules.